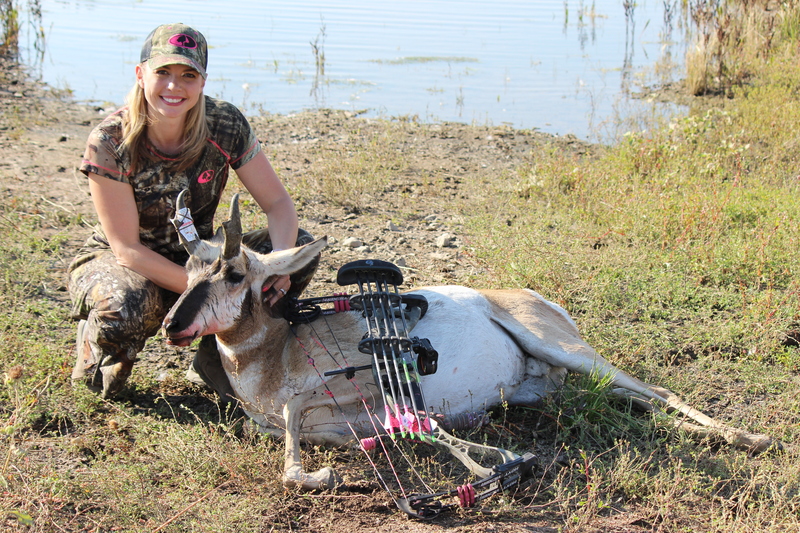 My first antelope hunt can best be described, for the most part, as a disaster. If it could have gone wrong it did, but what an incredible learning experience it was. In life I’ve found that to be the truth much of the time. Your greatest learning comes in the midst of your greatest challenges. If there was a boot camp for antelope hunters this was it. I worked hard, with a relentless drive to succeed and it was that passion and perseverance that catapulted my hunt across the finish line. Now, I in no way claim to be an expert in antelope behavior or hunting those crazy fast speed goats, but here is what I did learn. First… big bucks like to water at small water holes in the desert. Sometimes they’ll even find the smallest trickle of water from an irrigation pipe and that’s where they’ll hydrate. Scouting is essential to success on this type of hunt. Otherwise, you’ll make your job much harder. Second… these animals were designed to flee. They are fast and they are jumpy… they are survivors. If you are going to use a blind, get it up early and get them acclimated to it. If you’re bow hunting be prepared because it is common for them to jump the string, especially if they’re on alert. As in the case of a new blind at their watering hole. Third… hunting the rut is very different than other big game animals. These animals don’t get nearly as goofy as deer or elk. Once they start rutting, I found my hunt got much more difficult. That’s because the big bucks typically have a lot of does. And, those does are on high alert. Then of course there are the smaller bucks lying in wait for the opportunity to grab a doe when alpha isn’t looking. All of a sudden you’ve gone from half a dozen sets of eyes to thirty sets of eyes. I actually had a doe walk up to my ground blind and practically stick her head inside. When the dust settled alpha had ran out 60 yards and to my utter disbelief he was uninjured. I was regrouping trying to figure out how in the world I missed that buck at fifteen yards, when I saw the smaller buck laying down on the hillside. I’m thankful to this day that big buck didn’t give me a second shot. The loud crack sounded like my arrow hit a rock, and since there were rocks all around my water hole it was an obvious assumption; however unlikely. But, what I actually heard was the sound of breaking bone as my arrow pierced through the smaller buck’s front leg, shattering the bone in two places, and into his lung. My husband watched the scene unfold and by all accounts my “team player,” who was standing next to alpha, had stepped in front of him taking one for the team. Curiosity killed the cat, or in this case the buck. It was not the way I saw my antelope hunt ending, but leaving the desert with meat for my freezer was a blessing. Plus, now I’m armed with an arsenal of experience for next year’s hunt and already the anticipation is building.